Sorshe ilish, the most recognized, very popular and classic dish of Bengali cuisine, a bright yellow mustardy fish preparation best served with hot rice. Mustard oil enhanced the taste of Hilsa fish. 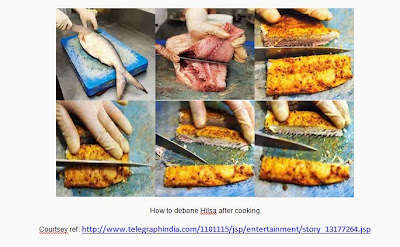 One can eat the Hilsa fish fry easily because the soft fish bones becomes stiff during cooking, which can be managed easily, but I remember we used to eat Hilsa from very little age. My mom knows some secret to dissolve the throne like bones during the steamed cooking also. Let's try. the queen hilsa - a dancing duo with full of roe"
I got up as the sky turned black and the rain started to fall, watching from the rain pelting rooftop I saw the rain creating numerous puddles on the asphalt city street and I thought to myself that if it rains all throughout the day I would not be doing much of anything. It was raining and I was thinking that it was a perfect day to stay indoors, though I would not have had the guts to do it on a day when I have plenty of pre-planned work tickling in my head. Suddenly I thought, I need to let my kids enjoy this season the way I used to when I was young, as I had promised them I would. Following my usual working day routine of catching up on household chores I started thinking if it continued to rain throughout the weekend my children could get the feel of what we used to get numerous times in our childhood when we got some unscheduled, but expected holidays popularly known as the "RAINY DAY" of schools and colleges, and we would celebrate the season according to our family tradition "the Rainy day with Hilsa feast". A saying goes "give whatever to buy the Hilsa fish" It would appear that there is no other dietary fish so well relished and so prized in Bengal as the hilsa. The fish occupies the pride of a place in the offerings to the Hindu goddess Durga at the time of ‘Durga Pooja festival' in September-October and to the goddess Sarwaswati during Basanti Panchami in January. The reputation of hilsa is well reflected in the proverbs of ancient sayings as 'surpassing nectar' [in taste and quality]. The fish is also highly prized in the south-west coast of the Bay of Bengal. Bengal's richest and biggest fisheries went to East Bengal due to the spoils of partition of Bengal and India. Over the last half century to this day this loss continues to be mourned in West Bengal particularly during the rains when hilsas spawn. 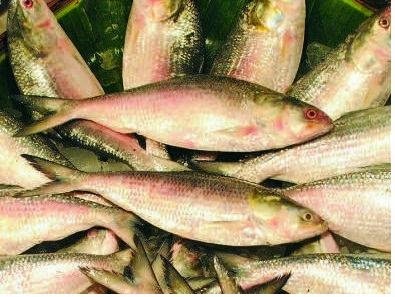 The medicinal qualities of hilsa provides for the following: flesh demulcent or soothing, stomachic promoting functional activity of the stomach, phlegmatic that is characterised by excess of phlegm and carminative as relieve flatulence. However, the fish is also reportedly rich in arsenic, and diarrhoea caused by hilsa has been traced to mild arsenic poisoning. A hypothesis that hilsa may be the carrier of cholera vibrios during inter-epidemic periods was formulated. However, investigations carried out by the Indian Council of Medical Research showed that cholerogenic vibrios are not found in hilsa but there were indications of the possibility of cholera vibrios undergoing mutational changes in the gut of the fish. Looking back, I remember one occasion. It was a Friday night and it pouring cats and dogs. It continued to rain throughout the rest of the night. We slept late and did not feel the presence of daylight until 8 am. It was late, we were always an early riser. The conditions prevailed in the morning too. It had been raining most of the night, it was beginning to rain again and slowly it started raining heavily and showed no signs of stopping. The weekend prospects were for heavy rain, so there was definitely waterlogging in Kolkata, I smiled, because there were plenty of natural factors in play that was surely going to help me skip school. Our weekly break of school was on Thursday. My parents were in a hurry, though Saturday was the official half working-day at that time, they both were always very punctual, and devoted to their service. My father first got out to catch the scheduled transport service and after half an hour my mother as well was ready to go, but was stopped by my father who came back wearing a smile with a folded umbrella in one hand and a couple of large and fresh sliver shining Hilsa hanging by a thread from the other. He said as he settled down on the couch leisurely with the newspaper that monsoon rains have wrecked havoc in Kolkata, torrential downpour has flooded the city and the bus service is halted due to waterlogging. The same rain was pouring down there with equal intensity. So my mother then took charge in the kitchen to make several of her hilsa specialties. She certainly enjoyed the surprises. The fishes were still lying in the big plate. The proffered hilsa felt firm, silver shiny, dense and oily. A gourmand Bengali like my parents always bought the Hilsa as a whole without cleaning or even cutting, because they do not want to wash out the taste of Hilsa with the water, which they will definitely do for other fishes, a profuse cleaning to remove the fishy smell. To keep the best taste of Hilsa my mother removed the scales first then cleaned and washed the fish as a whole and wiped off the water. Then she cut neat pieces out of it. First the head and the tail and of course trimmed the black thread, which the Bengali calls the 'coal of the Ilish fish' at the middle of the split end of the fish tail. She washed carefully only the gills and the liver as though they were gems. She made some thick round cuts for the fish for fries and some curry cuts. My father has tremendous knowledge about fish. He did always avoid buying fish with roe as the fish with roe is less tastier, but for our demand he always bought fishes with roe once seasonally and we were lucky those Hilsa were stuffed with roe and was truly a delicacy. We were so much excited. I still could recall the magical moments of the story of river Meghna and the tastes of the magnificent feast, the full course meal with the entire fish, the fish fry with chili oil, the fish curry in mustard sauce, shaak or greens and legume with the fish head, and also Hilsa roe sour served with hot long-grain basmati rice. Both my parents now silently heave a long sigh. Now I can feel them though I did not experience any partition or migration. I am feeling guilty too by the thought that what were we leaving our future generations with. Hilsa is known in Bengali as 'the darling of water' which is the symbol of Bengali identity. We were teasing our father that if he could tell simply by touching Ilish or Hilsa of ganga from Padma. He told he could recognize three types of hilsa, those of the saline water or of the seas, those from the muddy freshwater of rivers like Padma or Hooghly, and those from the clear freshwaters like Meghna. According to him, the Padma hilsa is thicker in structure pink across its underbelly and a bright silver in color, while the Meghna hilsa is thinner, a bit darker and a bit elongated. They could be distinguished based on width of the body, slender, broad and broader, but we need not know all these because soon coming is the day when Hilsa fish could only be found in the book as though our ancestor constructed the idea of the hilsa season and buckled it to the religious calendar only to avoid overfishing. He says if you want to eat those 3+ age or 4+ age large Hilsa fish you have to grit your teeth not to eat the juvenile or jatka or khoka ilish as good things come only to those who know to wait. It was raining so hard that they could not see anything, rain-fed farms were even greener and darker. My father and his friends were waiting for those fishing dinghi [a plank-built shallow boat about 6 to 8 m long with pointed bow and stern. There are ribs and cross-beams to strengthen the hull. The decking consists of detachable and half-split bamboo sticks. They are propelled by long oars and/or by sail.] and for their majhi mallaha, who will return with big handis of Hilsa larva, which he liked so much that he could wait like a one-legged red-eyed spoonbill. My grandfather did not allow them to catch and consume the Hilsa eggs so there was definitely a hide and seek tension between fisherman and the Doitto [from family name Dutta] as his students called my Headmaster grandfather. The roes were more available during winter at those times. The riverine or estuarine stocks are exploited by a variety of gears, the most common of which are the clap net, gillnet, drift net, seine net, screen barrier net, and fixed bag net or traps. The largest contribution mechanized fishing comes from gilldrift net. The fishermen’s choice of nets for operation in different areas and different seasons depends on the velocity of the current. The fishing for Hilsa takes place mainly during the monsoon season when adult fish migrate up the rivers for spawning and is centered in the estuaries and rivers. A less important fishery takes place during the later part of winter, when there is a minor run of mature fish up river for spawning. As the fishery for hilsa is largely dependent on its migratory movements, the time and duration of the fishing season also varies with their time and duration. Fishing in the rivers generally starts after the commencement of the south-west monsoon and lasts till 2 to 3 months after the monsoon. The winter fishing is limited generally upto January-February. Hilsa is a highly fecund fish, the estimate ranging from 0.1 to 2.0 million eggs, increasing with size of the fish. The diameter of the fully ripe ovum ranges from 0.7 to 0.9 mm. Although hilsa was earlier credited with long migration from sea to river covering a distance of over 340 km and was in 770 days . River Ganga has now become a part of our drainage system of both the twin cities of Kolkata and Howrah. When the fish starts coming a few kilometers into the river they begin to die, they can barely swim some kilometers inland from the sea and unchecked overfishing has had its effect even before spawning. A large group of people are associated with hilsa fishing since long due to high economic value of the fish. The socioeconomic condition of these fishers is very poor. The fishery and poverty is very much related in this aspect. They are 'poorest of the poor'. These people are the backbone of this fishery. Most of these fishermen are from 'Malo' community, the word comes from Arabic 'Mallaha'. The Gangetic plain fish businesspersons are from West Bengal uses the fish resources dependent on the fishers who exploit the marine resources. Over exploitation diminished the species population and reduces economic return as this most valuable species is over fished. 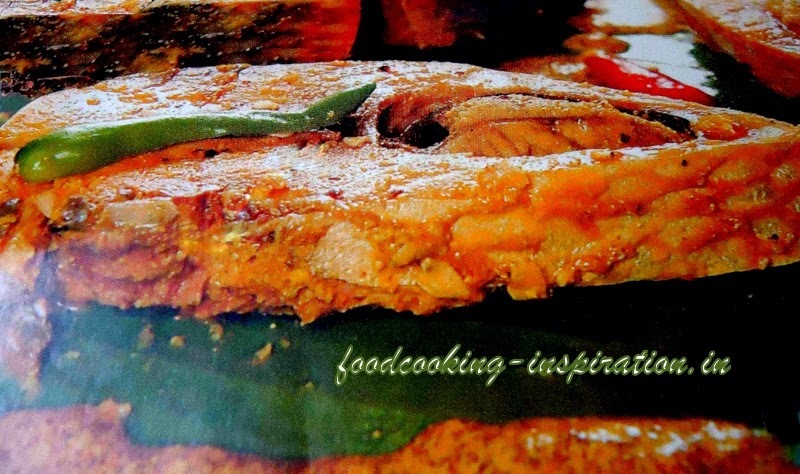 Ilish or Hilsa Shad fish steak: 4. ** To make the mustard paste soak black and yellow mustard in water with chilies for half an hour and grind that into a grainy paste. To that paste add turmeric, salt and a pinch of sugar immediately after grinding or the paste turns bitter. ** Marinate the fish with tamarind paste and some salt for half an hour. Now marinate the fish with the mustard paste and raw mustard oil. ** Now take a iron tawa. Arrange some clean sand and heat on the tawa. 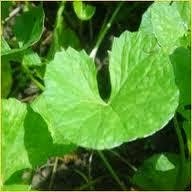 Take a flat-bottomed pan and place on the hot sand, arrange plantain leaves on the pan. Add mustard oil wait until heating the oil properly. Now arrange the marinated fish steaks with mustard sauce. Cover the pan with another big plantain leave. Cover with a pan lid. Simmer the fire to bake the fish on hot sand for at least 15 to 20 minutes. Give a resting period on hot sand the covered pan for at least 10 minutes. ** As soon as you open the lid of the pan the pungent mustardy marvelous smell of Sorse Hilsa will hit your sinus. Again add 1 to 2 teaspoon raw mustard oil and slitted green chili as Bengalis do and enjoy with hot rice. ** Truely amazing, though the Ilish was not deboned, I found very little bones except the middle and angular bones of the belly. The marination and cooking process created the magic. Described as 'poor man's hilsa', The fish looks like hilsa but tastes differently selling now at 450 per kg and going by the present trend of poor hilsa availability and prices of quality hilsa have skyrocketed to 1,400 per kg in Kolkata markets, millions of Bengalis and others may have to settle for 'chakori' this season onward.